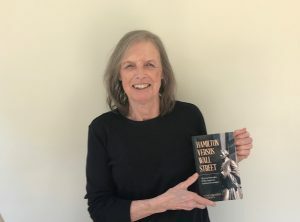 Sunday, April 7, at 3:00 – 5:00 p.m.
On Sunday April 7, Lovettsville author Nancy Spannaus will discuss and sign her new book, Hamilton Versus Wall Street: The Core Principles of the American System of Economics at the Lovettsville Museum, from 3 to 5 pm. Mrs. Spannaus, a member of the Lovettsville Historical Society, will also be available to sign books on Saturday, April 6, at the same time and place. 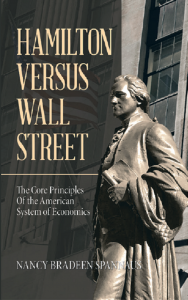 Hamilton Versus Wall Street is focused on the major contributions that Alexander Hamilton made to creating and building the American nation, and how those principles can be applied today. Using Hamilton’s major state papers, especially his Report on Manufactures, Mrs. Spannaus elaborates on the key elements of his system, and then pursues the trail of those great American statesmen who implemented his American System: John Quincy Adams, Abraham Lincoln, and Franklin D. Roosevelt. Hamilton Versus Wall Street will be available for purchase at the Lovettsville Museum. It can also be ordered from Amazon.com and Barnes & Noble. In soft cover or e-book.